​Twelve more God/Goddess Vision Courses to come! Click here for my Ogham Course: The Tree Alphabet of the ancient Irish Druids and my Vision Courses to meet the Gods and Goddesses of the Ancient Irish. For each rune you receive two audios: a presentation, and then a vision journey audio to understand the deep meaning of that Rune, and also to understand how you stand in relation to the life area covered by that Rune. There are many supporting documents as well. We correspond in detial, and I also draw for guidance on your Western psychodynamic and Evolutionary Astrology, as well as your Vedic astrology. Or on any of these courses, Please go to the relevant Payment button on the BUY Page. Do you want to learn the magic of the Runes? 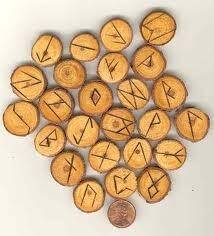 The Runes are powerful and ancient magic. I have done a one year mentorship in shamanism and am aware of journeying and also am a hypnotherapist. This is such a healing journey. Now I know why I was guided to do this course with you. I looked at many and you were who my guides directed me to contact. What do the Runes tell us? ​Each Rune tells us about a key facet of our life. ​Rune Stance and Galdr (Rune Chant) can bring deep connection with a rune and create strong personal change. Astrology guidance and support: You provide me with your astrological natal data when you enrol, and I refer to your western psychodynamic and evolutionary astrology and also to your Vedic astrology, for deeper guidance, as your Runes Course progresses. N.B. Please go to the Course Format page where they are all the special features are set out. 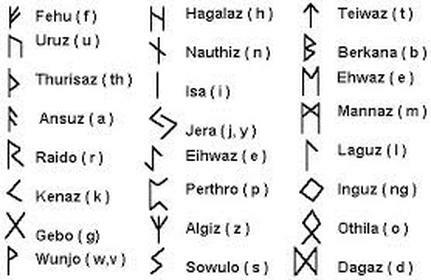 The Runes were the alphabet of the ancient Norse and other peoples of Northern Europe. But they are also an enduring magically powerful visionary series of Gateways to new ways of being, to ways of bringing in the change you need. This is totally personal sacred exploration on your part, with all the support you need from me. As a very special bonus, my support includes sharing with you insights from your Western and your Vedic Astrology. My name is Michael Conneely. I have taught the Rune Path Course for twenty-three years and I would like to offer myself as a most dedicated, caring and supportive teacher. I live in our Healing Centre in the far West of Ireland, on the Sligo Atlantic Coast, close to the most ancient Sacred sites in Ireland. I am the author of six visionary books, and I have an Oxford University MA. I studied Old Norse and the Norse Sagas at Oxford, where one of my tutors was Christopher Tolkien, the son of JRR Tolkien. I have completed a five-year ethnographic Field Study: this was a university-based social-anthropological study of spiritual forms new to the modern west. The method of this huge study was to live in the institutions under study. The spiritual pathways my study focused on were the areas of Hinduism, Buddhism, paganism, shamanism and Utopian Community - mainly based at Glastonbury. Ancient alphabets and Godes and Goddeses are my heritage. My family on my mother's side come from Co Galway. My family on my father's side include shamanic Yakut tribesmen from the Barents and Baltic seas. I also teach The Ogham, the Tree Alphabet of the ancient Irish Druids, with its totally different energy from the Runes, and its connection to Otherworlds. See my Ogham Course Details. ​I work with my wife Maggie Pashley who provides the guided drumming journeys in the Runes course. Maggie is a healer and facilitator who for twenty-five years has worked with worldwide intuitive body energy healing modalities such as: Soul Realignment, Past Life/Future Life, Emotion Code, Body Code, EFT, hypnotherapy, Access Bars and others. ​Maggie also works at the Sligo Wellness Centre. We run a Healing Centre in the beautiful far West of Ireland, on the Atlantic Coast of County Sligo, which is close to Ireland's most ancient sacred monuments such as Carrowmoor, Carrowkeel, Knock na Rae and W B Yeats Country such as Ben Bulben, The Lake Isle of Innis Free, Slish Wood, The rock of the Fiddler of Dooney - and also Ireland's sacred mountain now known as Croagh Patrick. ​See our Sacred West of Ireland Tours. Available worldwide on Amazon as paperback or kindle. I thoroughly enjoyed this book. Michael Conneely shows a deep and clear understanding of the underlying mythology, yet his narrative flows easily and convincingly. He handles dialogue well and his descriptions are quite vivid. My own knowledge of the Norse legends was superficial. Conneely incorporates an excellent overview into his story and uses the legends to neatly illustrate the path of humanity. The first Aett, Freya’s Aett is all about what it is to be a successful human being. The second Aett is of Heimdall the Guardian of Bifrost, the Rainbow Bridge, and it is all about seeing circumstances rightly, especially adverse circumstance, so as to begin to share divine awareness and start to become the Spiritual Warrior. Enrol on my Rune Course now, using the button on the BUY page.